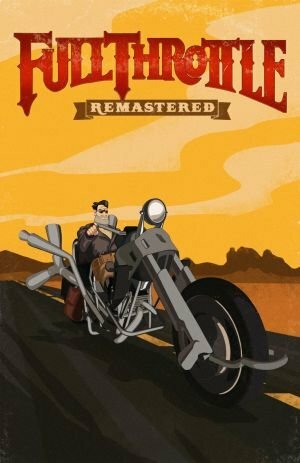 After previously releasing remastered versions of LucasArts classics Grim Fandango and Day of the Tentacle, Double Fine is nearly ready to send an updated edition of Tim Schafer’s biker adventure Full Throttle our way at maximum speed. Luckily, just in time before the game releases for PC, PS4, and Vita on the 18th of April, I was able to get hold of Tim Schafer for an extended Skype interview with the legendary designer. As you can imagine, there were loads of things to talk about. Read on as we discuss all-things-Full Throttle Remastered, have a look back at Tim’s days at LucasArts, and discover more about the many projects currently going on at Double Fine’s headquarters in San Francisco. Ingmar: Hi Tim, it’s a great pleasure to talk to you! 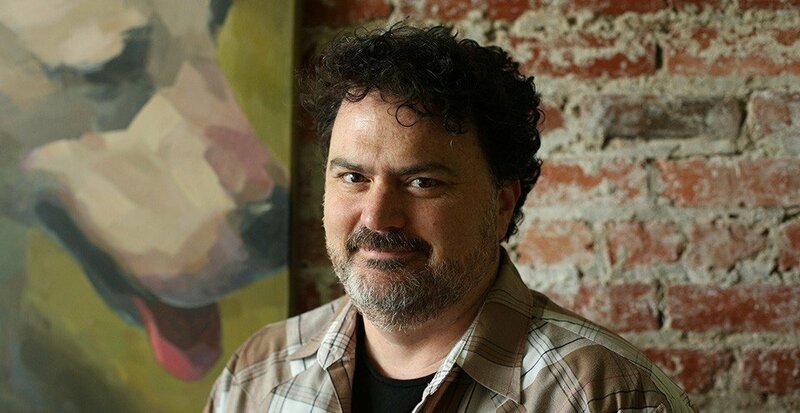 Tim Schafer: Hi Ingmar, good to talk to you! How is it going? Tim: WHAT? (laughs) I love press work! Tim: What did I say about press in that documentary? I don’t remember anymore. Ingmar: Just kidding. There was this one scene when your producer Greg Rice was telling you about potential press appointments that week. You didn’t seem too excited as you had lots of things to do on Broken Age. That was perfectly understandable, of course. Tim: You know, Tim Turi from Game Informer was like: “It blew my mind to watch that documentary, and see how you guys discussed our interview.” There’s this scene where I was handing out Game Informers to everyone on the team, and Tim was like: “That’s so weird. It never occurred to me. I just never thought of the team sitting around, reading our article, thinking it could be a big deal for them to get that kind of coverage.” (laughs) It’s funny, because there’s a bigger divide between journalists and game developers than you think it is. Ingmar: Speaking of the documentary, I watched the whole thing again when I prepared for this interview. Good timing to say thank you, as the documentary is unlike anything else out there and a great insight into game development! Tim: Yeah, we had two different missions going on there. 2 Player Productions had their mission, which was to document the creative process, you know, and my mission was to pull back the curtain. I really wanted to show everybody how game development is really like, because I always wanted to know when I was a kid. (laughs) I’m glad it’s out there! Ingmar: The remastered version of Full Throttle is about to be released, and the remasters of Grim Fandango and Day of the Tentacle have been out for a while. A long time has passed since you worked on the original versions. As a fan, I have vivid memories of originally playing most of the LucasArts games. 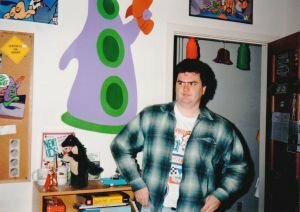 When I played Day of the Tentacle Remastered, for instance, I immediately remembered how my brother gave the original game to me as a Christmas gift, and how I could barely wait to get into my room on Christmas Eve to check it out, and having a blast playing it with my friends during the holidays. Ingmar: I have loads of memories that come back to me as a gamer, and many other adventure fans certainly feel the same way. How does it feel for the developer to revisit those days? Tim: It’s really fun and very rewarding. The way we make the remasters, doing the commentaries, finding the concept art, etc., it’s a little bit like a team reunion. On Day of the Tentacle I got back together with Dave [Grossman], and we played the game together all the way through. It was amazing to just spend time with Dave again as we’ve both been so busy these last few years. And also, like you, I have very strong memories. When we played through a scene that one of us wired up, you remember staring at things for days and days, making small micro adjustments, and just playing that scene again, and again, and again; certain lines of dialogue you heard over and over and over again, so that sticks in your head. Depending on what the game is, I remember sitting at Skywalker Ranch, what my desk smelled like, you know, (laughs) what we were doing that day, who I was going to lunch with… sometimes crazy memories will come back to me. But most of all I remember that weird time that we were making these games. We were in this perfect storm of great things, which is that we couldn’t make licensed properties, we couldn’t do Star Wars, we had to make up new stuff, we were making adventure games, and also… we were funded! (laughs) We didn’t worry about money; we were sitting on a big pile of Star Wars money. There were a lot of really good times. When it comes to the memories I’m enjoying most, doing these remasters, there’s also the team. Grim Fandango just represents this amazing coming together of artists, and I mean all kinds of artists: programmers, audio artists, actors, the writing combined with the music, and so on. So many talented artists came together to make this game, and it’s fun to see that snapshot of all these people working together. Ingmar: Full Throttle Remastered is launching this month. Please give us a summary of the improvements. Tim: We did a lot of things we did for the other remasters, like we got the team back together to record commentary for the game, we went back and found uncompressed versions of the audio. A few of the voice actors passed away, both Roy Conrad and Hamilton Camp; not that we were ever going to re-record anything or change the characters, but even if we wanted, we couldn’t. So we found the uncompressed audio sessions, re-cut and re-edited those, and we went back to Keith Karloff – the leader of The Gone Jackals – and got his re-released tapes of all the music remastered in stereo, which is amazing. And then we re-painted every cell of animation, and every background, which is just crazy. This is the most ambitious part of the all these remasters because Full Throttle has that streaming mine road, and tons and tons of frames of full-screen animation, more than any game that we had done before. We had Shiny Shoe – a developer from across the street – working with us on all the remasters, including Full Throttle. It came out looking great! Ingmar: Personally, I was glad you didn’t turn the gameplay elements in Grim Fandango and Day of the Tentacle upside down by changing a lot. What have you changed this time when it comes to the gameplay in Full Throttle? Ingmar: Grim Fandango still has cigarettes, so I wasn’t worried about that. Tim: We’re not revisiting the games in that way. We’re revisiting them as if we’re making a blu-ray version of an old VHS tape – a high-fidelity version with respect to the work of art that was made back then.